Your home is the perfect canvas to celebrate the inspiration behind your life passions. So don’t make do with generic decorations that look the same as everyone else’s! Have some fun with more unusual interior wall art ideas; these suggestions will help to get those creative juices flowing. You can find ideas in all sorts of places, from online catalogues through to interior magazines, homes of friends and family that you like and in stores. Think about the things that you enjoy doing and your life passions. These will help to suggest items that you could incorporate into your decor in a creative way, such as oars & nautical items for rowers or dance shoes for budding ballerinas. Love green spaces but live in a city apartment? Bring the outdoors indoors by mounting flower pots to the wall filled with your favourite succulents or hang trailing ivy from suspended ceiling planters. You could even look at the very trendy air plants that are dominating Pinterest right now and place them in glass orbs or use special plant glue to attach them to wooden frames. Don’t forget your bathroom either; there’s a major trend for shower plants such as eucalyptus which release a wave of energising scent when the water hits them. Adore the guitar? Why not showcase your collection on the wall? Or hang vintage music sheets as wall decorations. You could also cut sheets of music to make a unique piece of wall bunting to bring your passion to life. 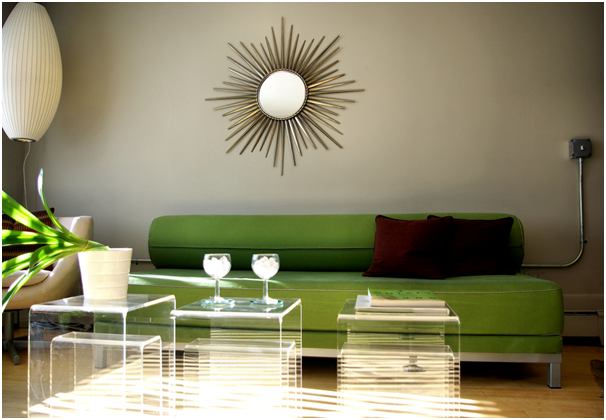 The more you can customise your home, the more engaged you will feel with it. Love the call of the sea and all things oars and nautical? Try something different like propping an oar in the room as an attractive decoration or even use a piece of old sail for hammock style storage. You can find a great range of decor inspired by Oars & Nautical items online. 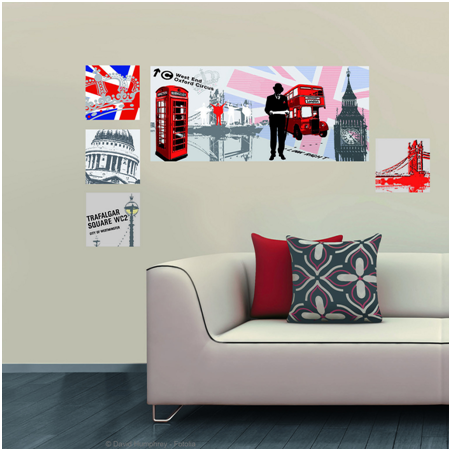 Why not cover your wall with corkboard to make an ever-changing display of the things that you love to see? From photos through to postcards, you could celebrate a love of fashion, food or travel on a weekly basis, completely changing the feel of your interior in an instant. Now that’s inspirational!